President Trump promised a $1 trillion infrastructure plan during his campaign. Spending more money on infrastructure is something that has broad support among people of all political persuasions. But as the case of Louisville’s $2.4 billion bridge debacle shows, not all infrastructure spending is good spending. And as a judge’s ruling halting the Maryland Purple Line project to require more environmental study shows, many of our infrastructure problems have nothing to do with money. America’s infrastructure needs are overwhelmingly for maintenance, not expansion. Infrastructure means much more than surface transport (highways, transit), but includes underfunded items like dams and sewers. There is a mismatch between funding structures and infrastructure needs that must be fixed. Politics and regulatory barriers are often a greater problem than money, and until we improve this, progress on fixing infrastructure will be limited. Private capital alone will not solve the funding challenge and comes with big problems of its own. There’s no such thing as free money. An initial sketch of what an infrastructure program should look like. Yet there clearly are major infrastructure repair needs in America. We have not been properly maintaining the assets we have built. Levee failures notoriously caused much of the flooding in New Orleans after Hurricane Katrina, but America has yet to address the neglect of its dam and levee systems. For example, the recent possibility of an overflow or collapse at the Oroville Dam in California forced 180,000 people to be evacuated. Many dams, levees, and locks on our inland waterway system are in need of repair, often at significant cost. Examples include Locks 52 and 53 on the Ohio River. Built in 1929, their replacement cost is $2.9 billion. As the New York Times reported, this replacement has been botched, and it was originally supposed to cost only $775 million—still a lot of money. Tens of billions of dollars are also needed simply to renovate America’s legacy transit infrastructure. The District of Columbia’s own Metro subway system has suffered several accidents that require emergency repairs to improve safety. It lost 14 percent of its riders last year, as they lost faith in the system. San Francisco’s BART rail system needs at least $10 billion in repairs. 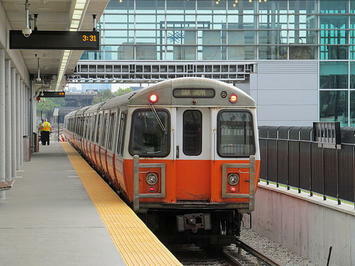 Boston’s transit system needs over $7 billion in repairs. New York’s subway signals still mostly rely on 1930s-era technology. Similar maintenance backlogs affect other infrastructure types. America’s older urban regions need to spend vast sums of money on sewer system environmental retrofit—$2.7 billion in Cleveland and $4.7 billion in Saint Louis. The state of Rhode Island had to pay $163 million to replace its Sakonnet River Bridge because it had failed to perform routine maintenance on the old one. This is just a sampling of America’s infrastructure gaps. But the poster child for American infrastructure problems is Flint, Michigan, where a water treatment error caused lead to leach into the water supply, rendering it unfit for human consumption. This caused then candidate Trump to say, “It used to be cars were made in Flint, and you couldn’t drink the water in Mexico. Now, the cars are made in Mexico and you can’t drink the water in Flint.” To be clear, Flint’s water crisis was caused by human error, but that was only possible because of the city’s old lead-pipe infrastructure. America’s water lines, in many cases, haven’t been touched since they were originally installed many decades ago. Some cities still have wooden water pipes in service. Syracuse mayor Stephanie Miner once said that if her city received the same $1 billion commitment from the state that Buffalo did, she would spend three quarters of it just to fix the city’s water lines. While things are not uniformly dire, it is clear that there is a need to repair and upgrade America’s existing infrastructure. It is this rebuilding, not building—making America’s infrastructure great again—that the Trump administration should focus on.